Computer Technicians – Open Interview on Saturday, July 9th. my PC Techs, Expert Solutions You Can Trust, is HIRING! my PC Techs is a locally owned team of information technology professionals based in Phoenix, Arizona. We provide honest affordable technology services to business and individual clients throughout the Phoenix metro area. Our goal is to help people better their lives through technology. We provide: computer hardware repair, software support, and a complete range of business IT Support services including consulting, upgrading, and server administration. Immediate Hire: We are hiring immediately for a mobile computer repair / IT support technician. Your primary job function will include desktop, laptop, and server computer repair, computer installation, computer networking, software configuration, software installation, virus removal, user and email management, training, and general IT support. You must be able to service calls within the Phoenix metro area. Windows and Mac experience A+. Contract to hire. Are You a Good Fit? The right person for this job enjoys a challenge, has fun working with computers, is social, and is quick and responsive. Visit our office Saturday at the interview time listed above to apply for our open position. This is an immediate hire for the right candidate. If you have any questions, call (602) 456-0150 or send us an email. Thank you, and we’ll see you on Saturday! 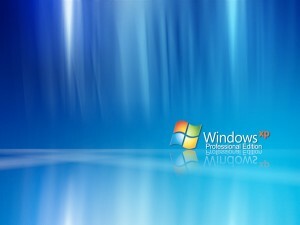 Many people still believe that the end date for Windows XP support occurs sometime towards the end of this year (2011). This is not the case. Mainstream Microsoft support of Windows XP ended over two years ago in April of 2009; which means that we have been without Non-Security Hotfixes (see below), No-Charge Incident Support, Design Changes, Feature Requests or Warranty Claims for some time now. Additionally, in April of 2014, all extended support will end; including ALL Windows Updates and Paid Support. When it comes to hotfixes the MSLP says that Microsoft will continue to release security hotfixes to keep customers safe throughout the Extended Support phase. However, in order to receive non-security hotfixes after the Mainstream Support End Date a contract called an Extended Hotfix Support Contract must be purchased within 90 days of the Mainstream Support End Date. There is a ray of hope provided by Microsoft for products that have been phased out: the Retired Product Support Options page. The RPSO page lists about 10 options available for customers using retired products including Microsoft’s Gold Certified Partner program, TechNet, MSDN, and the Knowledge Base. Additional information about the specifics of these programs can be found via the links below. If you have not already started planning to migrate your existing business systems away from Windows XP, now might be a great time to start. Prices are historically low on new computers, and my PC Techs is offering even greater discounts on the next technology upgrade for your business through our Dell partner discounts and affordable IT consulting services. Give us a call today if you would like to discuss your options to upgrade from Windows XP to Windows 7. Many years ago when a computer crashed, started running slowly, caught a virus, or lost data, the only recourse you had was to unplug your computer and “take it down to the shop” for repair. Sure, on-site computer repair has been around for some time, but in those days it was extremely expensive for someone come out to your home or business to look over your computer systems. The level of experience necessary for a computer repair technician to perform on-site support is high, and as a result that advanced level of support was only available to companies with large budgets. Each on-site technical worker must be an expert to survive the cutting-edge rigors of working with multiple hardware and software configurations each day. High hourly rates for computer experts allowed physically established computer repair stores to thrive for many years. They could hire one expert, and then employ a large group of less experienced staff for cheap who would work with the expert to learn how to fix the computers that came into the store. Unfortunately, low prices did not always equate to convenience. The disadvantages to you are high when your only option is to drop a broken computer off somewhere down the road. Forced to crawl around under a desk unplugging cables, hoping that you can remember the correct sequence of cables to plug back in you finally get your computer back is no fun. If you make it past that step without being electrocuted, the next task is to haul the dusty computer and maybe monitor or other accessories out into the heat, rain, wind, or whatever weather we were having that day. Finally, the worst part, handing over all of your sensitive information to the stranger at the counter of the computer repair shop. Do you know the owner or person working at the counter? Great, but do you also know the other people working in the back room? Do they really even care about you or your data? Is your information safe? Just what ARE they doing back there with your stuff after you leave? Will they fix this problem only for you to discover more computer issues once you hook everything back up? Things have changed considerably over the past five years, all for the better. These days, it’s more affordable for you to have your computer systems serviced on-site in your home or business. The hourly rate for experienced computer repair technicians has come down considerably, changing the playing field between on-site and in-store support companies. What used to be the biggest advantage for the brick and mortar computer store, physical presence, has actually turned into it’s greatest liability. The large operating costs of leasing a physical storefront have made it impossible for old style computer repair firms to compete. As a result of increased operating costs, lease, electricity and other limiting factors, physical computer repair shops are forced to charge more for computer repair services just to cover unnecessary overhead. Efficient on-site computer repair firms avoid these overheads, operating remotely, covering larger areas, and are able to pass the savings on directly to you, the customer. As a result of lower prices, more and more people are realizing the immense advantages to on-site repair, which go far beyond the ability to save money. A client of ours recently left us a testimonial that sums up the experience quite nicely, “I liked your service, because right away I felt like my PC technician was a friend. He explained everything to me and answered all of my questions.” That is the level of customer service that a physical computer repair shop cannot match. Beyond simply fixing the problem, a technician in your home or business is a real person that is available to answer questions, explain to you what is wrong, and work with you – not just to fix one problem, but several problems all on the same visit. When your original problem is fixed, you’ll probably have time to fix three or four more problems that you otherwise wouldn’t have thought about had your computer been in a back room somewhere else. When you encounter a preventable problem, such as a computer virus, a live person there to assist you can not only help you remove it, they can offer expert training and advice on ways to protect yourself in the future. 95% of computer issues most people have can be fixed right there, on-site. In the rare instance that a more time-consuming repair is necessary, the technician already has everything taken apart for you and can take the necessary parts to a central repair facility for you, bringing back the repaired parts once complete. All the while, freeing up your time and allowing you to work on other things. More importantly, your ability to interact face to face with your computer repair technician gives you the advantage of knowing exactly WHO is working on your computer and whether or not you should trust them with your important pictures, business accounting information, emails and passwords. Everyone likes to save money, and given the opportunity, 9 out of 10 will go with the less expensive option. It’s nice that the tables have turned to favor the customer, making it possible for everyone to experience better computer repair service without extra work or hassles, and at prices those large computer stores just can’t beat. Unfortunately for Google, things don’t always work out the way everyone expects. Google announced plans to drop support for Google Wave today. There was tremendous promise and expectation attached to the Google Wave project, even before it was available for testing. Google did a remarkable job building up public support for this project and getting everyone excited about what was in store. Wave was supposed to replace email, instant messaging, and chat. It was going to make file sharing easier for everyone. It was destined to become the premier collaboration tool on the internet. With so much excitement and anticipation built up for Google Wave, it was almost impossible that the project would become anything other than a major success. So what happened, why did Google Wave flop? I tried Google Wave personally and found myself unimpressed with several aspects of Wave. The most disturbing element of Google Wave for me was the poorly developed user interface. It was difficult to navigate and tedious to accomplish any real work from within Wave. The sign-up process was flawed from the start and Wave was closed to the general public for far too long. Hundreds of thousands of people who might otherwise have become huge adopters of the platform were excluded for lack of knowing anyone willing to send an invite. Finally, the system was closed and isolated. Without knowing a large enough group of people already using Wave, there was nothing you could really do in Wave. Unlike email, where anyone you know can be contacted at any moment, you could not contact anyone in Google Wave unless that person already had a Wave account. The technologies behind Wave are impressive. Given enough work, Wave could have become great as originally intended. I don’t know if Google felt that they tarnished the Wave name somehow, but it’s too bad that they gave up on this project rather than making serious changes in order to salvage it. What did you think of Google Wave? Did you use it? What did you like or dislike about it? As a business owner, you were probably quick to identify the need for a properly designed and well maintained company website, one that will provide your business with affordable marketing opportunities, help increase sales, and generate new business. You may have gone one step further, establishing a blog with the hopes that frequent posting to the blog will lead to increased exposure of your products and services to new clients. Blogs are invaluable tools for company employees, allowing them to post new articles, videos, press releases, and pages to a website. However, very few businesses are given proper advice or support when it comes to efficient ways to use a blog for business growth, sales, and lead generation. There is a clear divide that most businesses face when it comes to internet marketing. Most companies find themselves, knowingly or not, increasing the amount of time and effort spent marketing online without generating any significant increase in relevant traffic that will result in new sales. This problem is mostly due to the fragmentation of the website services industry. When you hire a website design and development firm, there is a very good chance that the firm does not understand the importance of internet marketing. They may setup your blog in such a way that it’s practically worthless for the real power and purpose of blogging, which is website traffic and lead generation. Conversely, when employing an internet marketing solution or trying to do it internally, many of the people actually working on your online marketing lack proper website design and web development knowledge. You may, again, find yourself with blog content that does nothing more than take up space and does not result in exposure for your business. The biggest culprits behind wasted blogging efforts are the online, free blog solutions. Many companies are either sold a free solution by improperly trained website and internet marketing companies or ask employees to establish them, not realizing the loss of productivity that will result. Free blog solutions lack several key benefits that properly developed and integrated blogs do not. Important tools, such as automatic link distribution and site cross-linking are typically not available. The bulk of your product, services, and marketing materials are generally not visible to visitors who click through to read an article on an external blog. Additionally, the majority of free blogs are hosted outside of the company domain and fail to provide fresh content associated with your website, which is extremely important and valuable for a company when it comes to search engine positioning. Secondary blogs on free solutions, established outside of your company domain with alternative content, can be beneficial for SEO and page rank purposes. However, the primary blog for your business should always be properly hosted on your own website domain, linked correctly from your website navigation, and completely integrated into your existing website. If the URL to your website starts with a URL similar to www.azmassageforwellness.com, your main company blog should be referenced from within a sub-directory of that site, such as www.azmassageforwellness.com/blog. It should also be developed using recent, feature-rich blogging solutions such as the open source blog application WordPress. Finally, the blog should be a total integration, with blog pages sharing few differences in heading, navigation, and footer from your main website. Website developers that realize the importance of page rank, relevancy and online marketing will follow these guidelines to integrate blog solutions for your company that provide a deep set of features and support easy to use Plugins for SEO and link automation. The reason all of this is important deals with the way search engines index and rank your website. When going through the pages on your site, a properly integrated blog appears to a search engine as part of your website. Every post that is made through the blog becomes an additional page of content for ranking purposes. Search engines love fresh content. The more fresh content you have, the more relevant your website appears to search engines and you will rank higher in search results and generate more new business as a result. It takes time, but after 100 or 200 good blog posts, your website should begin to see some significant benefit in search engines. There are additional factors to consider when posting to a blog, outside the scope of this article, which are important to consider. A good internet marketing solution will provide you with training and will support your efforts by identifying effective keywords to use in posts. You should be provided tips that will help establish your blog in the community, giving you recognition as an expert in your field. Your website team should help you to identify ways to distribute your content and get your blog posts linked out to other websites. Finally, there should be a good level of customer support and interaction between you and the website team that designed your blog, so that you understand the most effective ways to utilize your blog and get the most value from your time invested. A properly developed and utilized blog can be the most effective tool available for you to generate traffic and increase search engine positioning for your website. If you haven’t already, be sure to search for and consult with a comprehensive website design, development, and internet marketing firm. One that can provide a variety of effective solutions that work together to increase sales for your business.